Discovery Notes Soil was isolated near an outflow from the lake at Belmont Lake State Park. There were populations of ducks living in the area that the sample was acquired. It was dug from about 2 inches underground in damp soil due to several days of rain prior to the collection date. 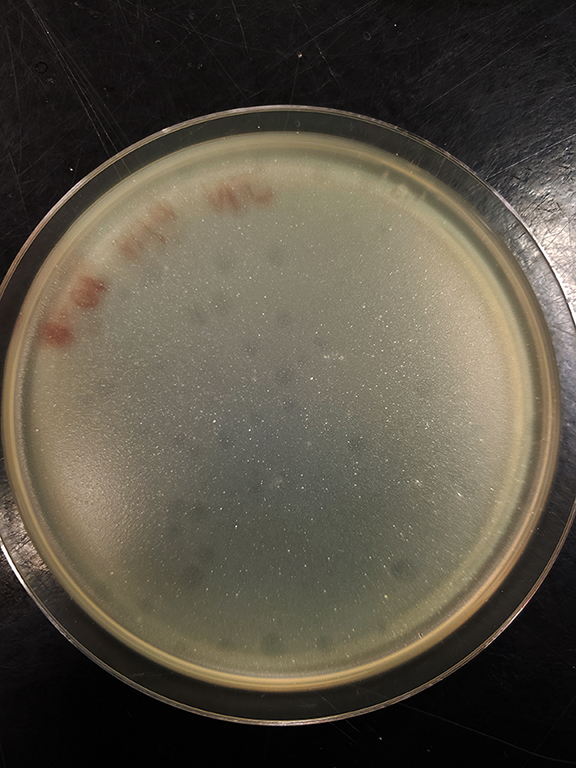 Naming Notes This phage was named in collaboration with my students in the Fall 2018 SEA-PHAGES group at SUNY OW, after my baby that was born at the end of the semester. Plaque Notes Plaques were medium sized, approximately 3.5mm in diameter, and were cloudy with a circular shape.